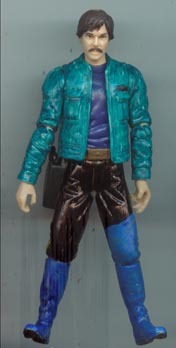 I always felt that Vrad Dodonna looked exactly like Biggs Darklighter, so in doing the repaint, I didn't even attempt to alter the face in anyway. One boot may look a lot higher than the other, and that's cause is it - it was drawn like that. I don't know why.